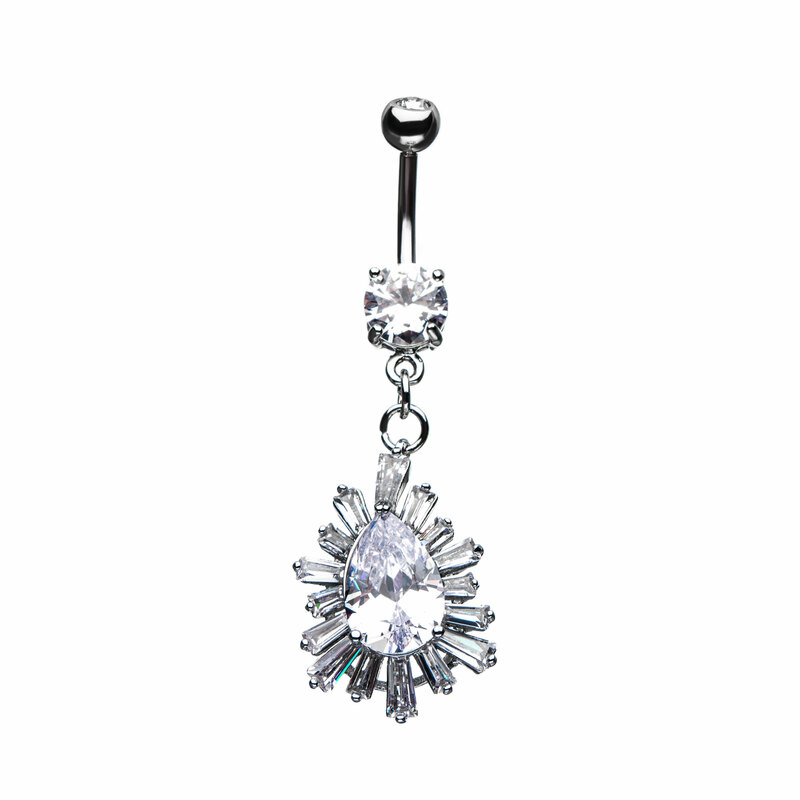 Surgical Steel Teardrop with Clear CZ at the Center Dangle Navel Ring. Made from 316L Stainless Steel. Sold Individually.